We launched our Military Gift Guide Series this week with “10 Food & Drink Gifts To Give With Military Promotions“ and Military Holiday Gift Guide Series: 9 Gifts For Him. 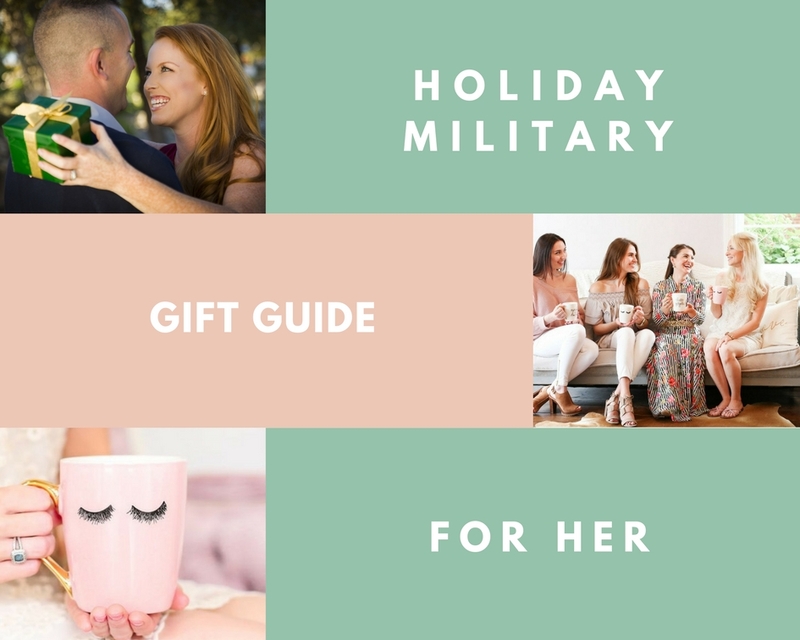 These gift suggestions come from brands Vet/Milspouse owned businesses as well as brands who offer Military discounts or support military organizations through charitable initiatives. You can feel good and know that every time you make a purchase you are in someway supporting the military. Click the links below the pictures to see details on each product. The ROSIE Co.- This amazing milspouse owned shop happens to be co-founded by our creator Krystel here at Army Wife 101. As avid coffee & tea fans Krystel and fellow milspouse partner Lakesha Cole enjoy adding beautiful mugs to get drink your morning fuel. Give the lady in your life the “Pink Eyelashes Gold Coffee Mug” and add add a little glam to her morning routine. 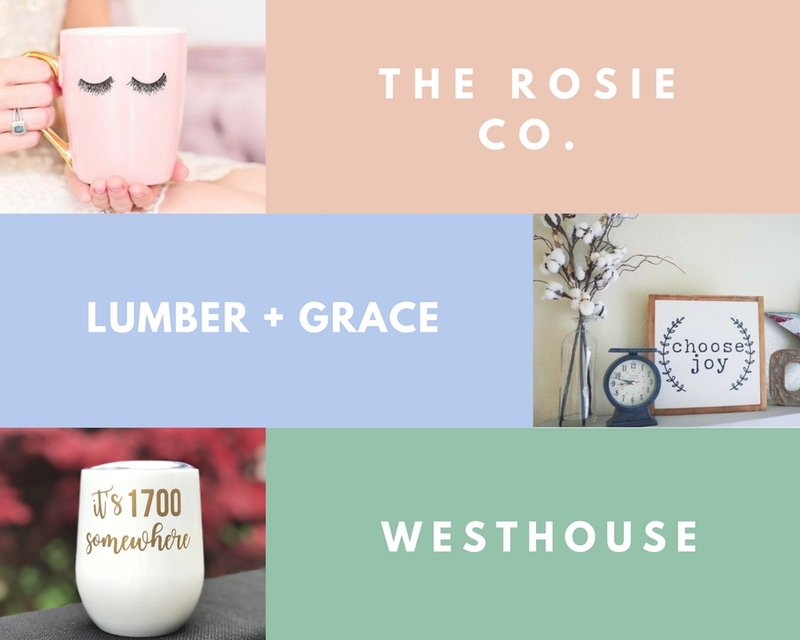 Lumber+Grace- Is a milspouse owned business specializing in farmhouse signs, wood burned decor, and custom furniture. The owner is a sweetheart and super talented. Her IG and designs look like something off of HGTV. Her signs and creations are a sure fire way to give a personalized gift. We love the “Choose Joy” sign above, but she also offers the option to personalize wooden signs for customers as well. Hurry and order to get in time for Christmas. Shop Westhouse- Is another milspouse owned shop specializing in handcraft designs that includes stationary , mugs , signs and more. For the milspouse who loves wine-o-clock we love this “It’s 1700 Somewhere” insulated wine tumbler. Pacific Pearls– A girl needs Pearls. Pacific Jewelry makes that easy by offering a special military discount of 40% off. To redeem use the code RETAILSALUTE . This deal is valid on any purchase but you may want to check out their “Patriotic Pearls”. collection. Diamonds Direct– Because Diamonds are a girls best friend. Want to win spouse of the year? Get the special lady a pair of these “Round 3 Prong Diamond Studs”. Military receive 15% off purchases HERE. 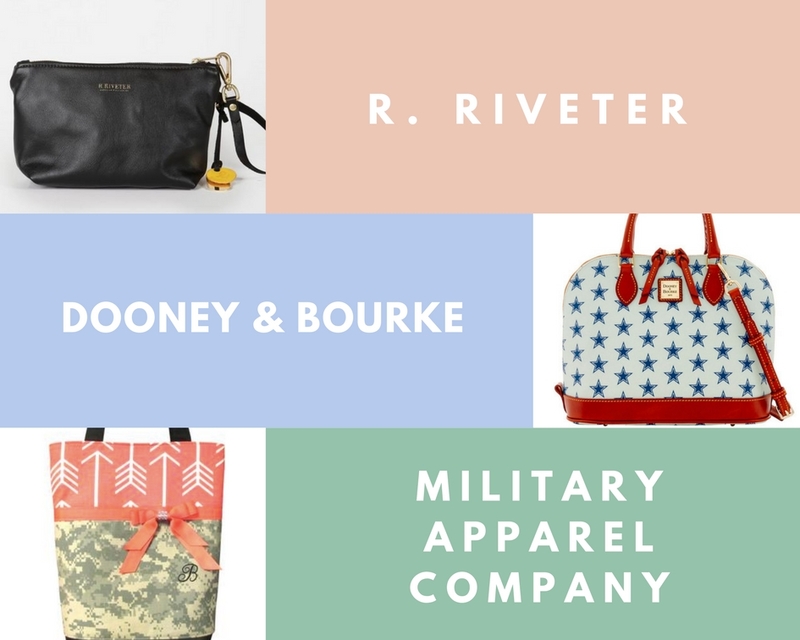 R.Riveter- This milspouse Shark Tank duo employ milspouses remotely to create their beautiful hand stitched USA made bags. Were huge fans of keeping our hands free while being able to carry all of our essentials. The woman in your life will love their “Leather Zipper Clutch” which is currently $50. Dooney & Burke- salutes the military community for their service and sacrifice. They are proud to offer active duty, veterans, reservist, National Guard, and military family members $30 off orders $150+ at dooney.com. The pic above is from their new NFL line of purses, but we love the Americana look of this bag too! Military Apparel Company- Consider the Allure Bag from milspouse owned Military Apparel Company in which uniforms are given a second chance and used to create timeless pieces with special meaning. 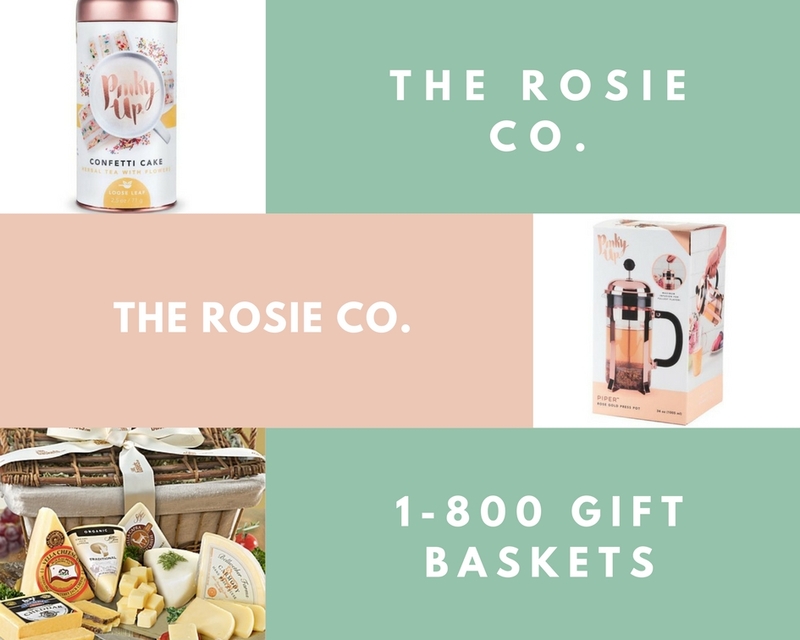 The ROSIE Co. – You can read more about this awesome milspouse owned shop in our above mug recommendation. We love the variety of fun loose leaf teas they provide. Some flavors include “Confetti Cake” and “Peaches and Cream”. Don’t for get to use code Mil10 to get 10% off. The ROSIE Co.– We’d be remiss if we didn’t give you a away to serve that amazing tea. “Tea served out of a Rose Gold french press just tastes better. With it’s 34 oz capacity, Stainless steel filter and press, and on trend copper-plated stainless steel frame you’ll be serving up the hottest cups of tea on the block!” Again military receive a 10% discount using code mil10. 1800 Baskets- Offers a selection of products with military discounts. We recommend the “Premium American Handcrafted Cheese Gift basket”. See our previous “Food” and “Gifts For Him” Holiday Military Gift Guides HERE.